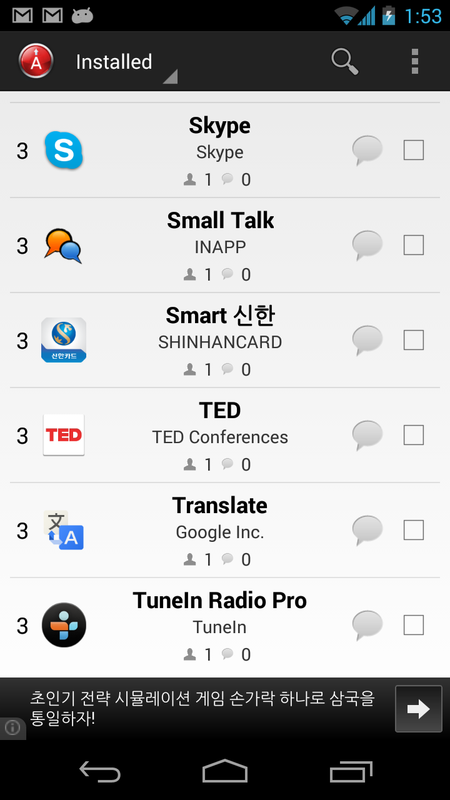 This application shows ranking of installed applications on the basis of information aggregated from users. 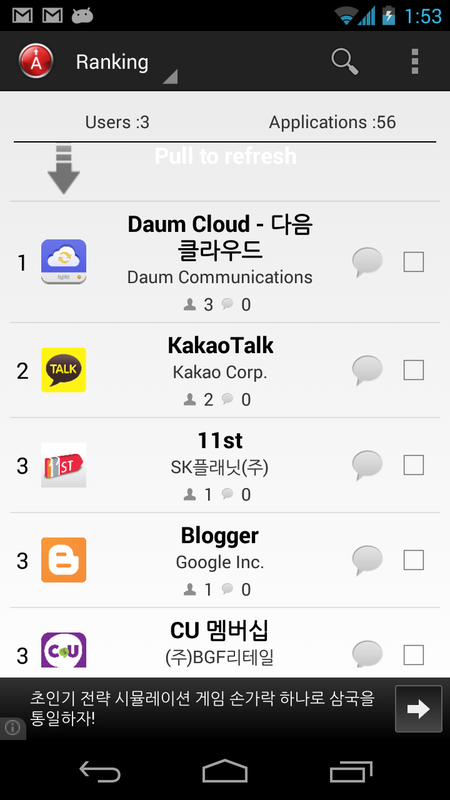 The ranking of each application installed up as the number of users goes up. When you run this application, list of the installed applications is aggregated and entire ranking aggregation may take time for about 10 minutes. Now widely used application can be seen without modification. 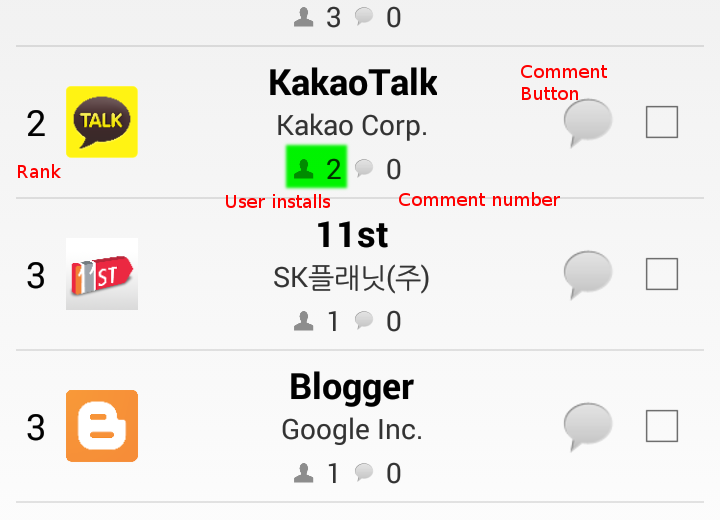 Pressing balloon-shaped icon in the application list, you may leave comments on the application. In the list of applications that are installed, deletion, forced shutdown and application-sharing feature is also available as an administrator. 이 어플은 사용자들의 어플 설치 정보를 바탕으로 순위를 집계하여 보여줍니다. 각 어플의 순위는 설치된 사용자의 수가 많을 수록 올라갑니다. 실행시 설치되어 있는 어플의 목록을 집계하며 전체 순위 집계는 10분정도 시간이 걸릴 수 있습니다. 현재 어떤 어플들이 많이 사용되고 있는지 가감없이 볼 수 있습니다. 어플목록에서 풍선모양의 아이콘을 누르면 각 어플에 대한 의견을 남길 수 도 있습니다. 설치되어 있는 목록에서는 각 어플의 삭제, 강제 종료 및 공유기능이 있어 어플관리자로도 사용이 가능합니다.